Many young people want to go travelling after finishing upper secondary school. Some want to test working and living in another country. The majority go to London, which is what Kajsa Hallberg did. But how do you find a place to live, and how much does it actually cost? Here Kajsa describes her own experiences. 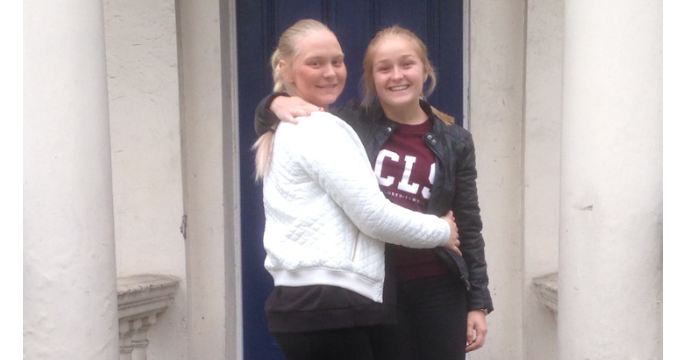 A year after upper secondary school, Kajsa and two friends decided to move to London to work. They started looking for a flat online and their first two weeks in London were spent mailing and ringing estate agents and running around looking at flats that were available. They travelled around the whole of London, from east to west, north to south, in search of a reasonably priced flat. They met a lot of strange agents, some of whom even tried to con them, and they saw a lot of weird flats, but in the end they found one that felt right. The flat they found was on the third floor, and it felt clean and fresh, unlike many of the flats in England. It had no fitted carpets and a clean, almost Scandinavian style. They had to pay approximately 6,420 SEK per person for the flat each month. – Although it is a lot of money for a shared room, we were living quite central in Zone 2 on the outskirts of Bayswater, says Kajsa. You could get a place with a room of your own for the same amount of money further out, although the standard might not be as good. Kajsa and her friends stayed in London for a few months. They worked, partied and met a load of new friends. Kajsa had fallen so in love with the city that after returning to Sweden, she decided to move back to London to study. It thus became time once again for Kajsa to start looking for a flat, but this time she was lucky. It turned out that her family had an acquaintance who was just in the process of finishing her studies in London and was about to move back home to Sweden. – I got lucky. The new apartment was a studio flat in Finsbury Park, in Zone 2 in northeast London. It is not as good as the one I lived in last autumn, but it’s nice and is in a good location, says Kajsa. This time Kajsa pays even more than she did before, but it’s worth it to be able to live on her own. – This was something that I chose to prioritise since I’d learned that having my own space was important to me and that living so close to others and sharing a room and a bed can be a strain. Do you have any tips for others who are looking for a place to live in London at the moment? –­ It’s important to act quickly, but also to keep calm and to appear "cool", in order not to get conned – so be on your guard. If you find a place to live via an agency they will probably demand that someone who lives in the UK stands as guarantor for your rent payments, but in some cases you might get lucky and they might accept a parent living in Sweden as guarantor. Choosing to go via an agency may be complicated, and they don’t always take the tenant’s side in a possible dispute. But it can mean more security than if you find a flat on the black market. If you are going to live with other people then remember that a household of only students or students who also work does not have to pay council tax, unlike a household where at least one person works without also being a student. Then the whole household has to pay council tax even if the rest are students. And think about whether you want to live with other people, and share a room. It’s fun and economical, but it can also be a strain if you don’t get on with the people you’re living with.